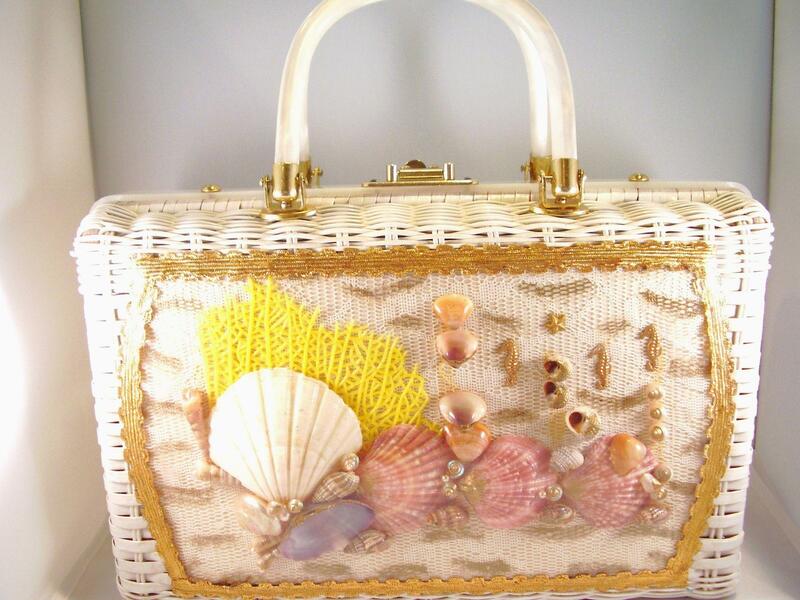 I just received my beautiful gorgeous Seashell Handbag from Marianna of “Sweeties Memorable Gemz” on Ruby Lane. It is amazing. I really love it and as we are heading here “Down Under” in Australia, into Spring, it is perfect for taking out and about and using on casual outings. The Listing had the following description for this bag. It was made in the same era as me (1960s). 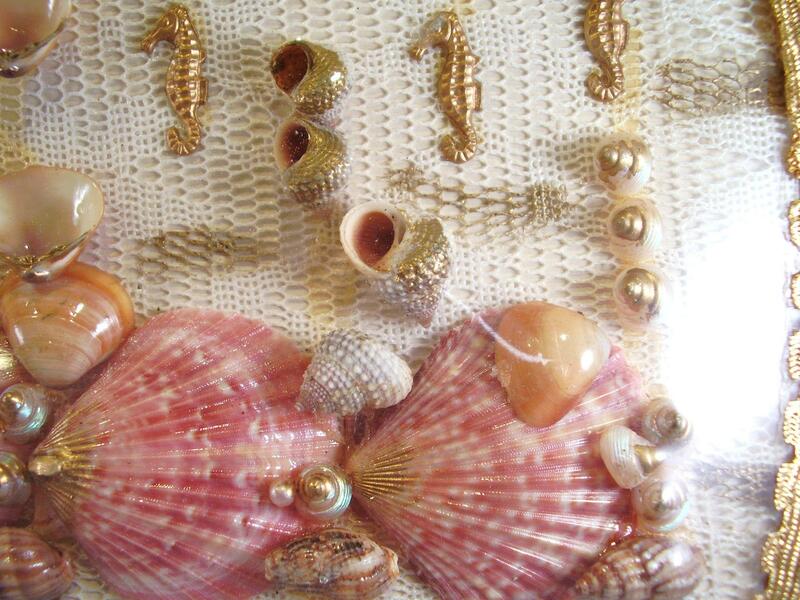 Princess Charming by Atlas of Hollywood Florida – Made in Hong Kong – Front Panel decorated with Seashells, Seahorse Charms. Vintage 1950’s – 1960’s. 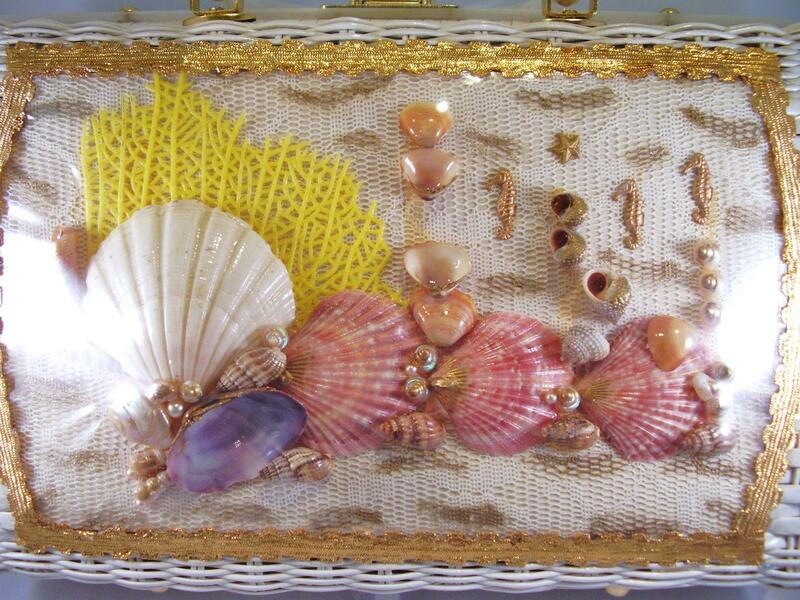 This charming vintage white wicker box bag is an underwater scene with faux coral, various seashells and starfish and seahorse charms all placed on a white lace type open weave fabric. The entire decorated panel is edged in fancy gold trim. There is a clear layer of plastic that covers and protects the underwater scene. The measurements inside the trim panel are 11″ x 6-1/2″. 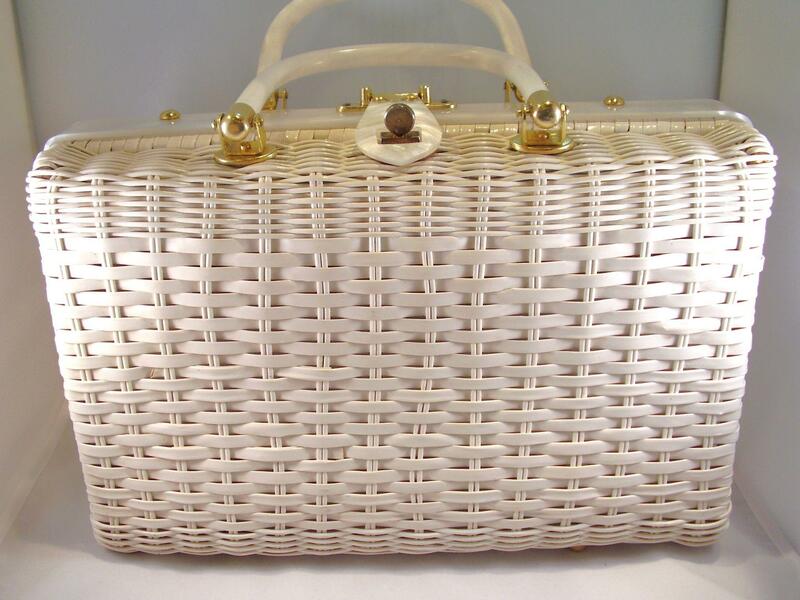 The white wicker is a laminated wicker that shows no wear. 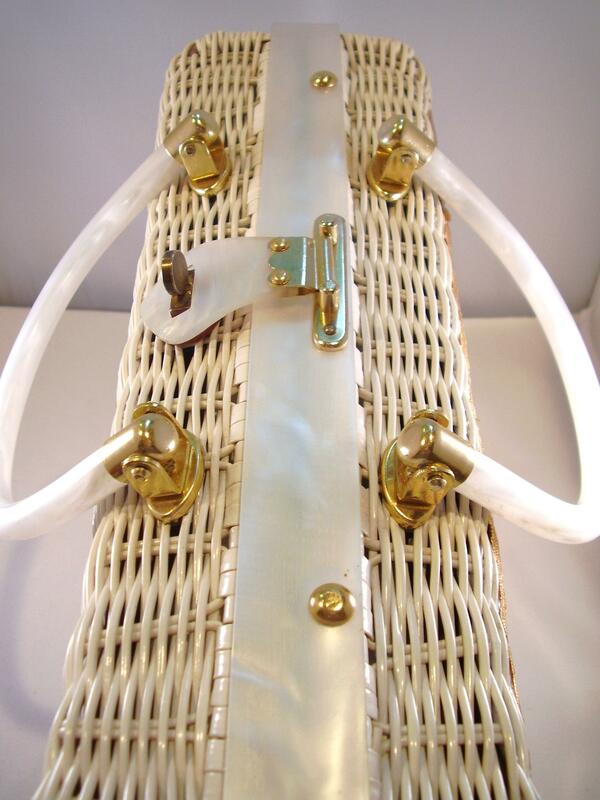 There are also white leather accents on the bottom where the bag has 4 brass protective feet. The top is framed in white marbleized Lucite with a Lucite clasp and double Lucite handles. This is a perfect handbag to carry during the summer. The white plastic liner has a zipper compartment and open pouch, the inside is very clean and has no odors. The brass hardware on the top is bright. The measurements are 12″ across x 8″ high (with the Lucite handle the measurement is about 12″ high), the depth is 4″ making it a roomy box bag to carry. This Atlas of Hollywood Florida is a highly original theme design bag that was popular in the 1950’s and 60’s and highly collectible and popular to carry today. I can vouch for the professional service of Sweeties Memorable Gemz and the wonderful treasures available at good prices. I am a return customer of Marianna, and received this bag speedily and well packaged for its journey from the U.S.A. to Australia. We love the detail of the sea-side scene, so bright and cheery and refined. It is a handbag to be proud of and to treasure, and to use. For the information of Readers at the time of posting this, Marianna has another gorgeous bag for sale, a Midas of Miami vintage wicker bag with a vegetable design. Click below to view. 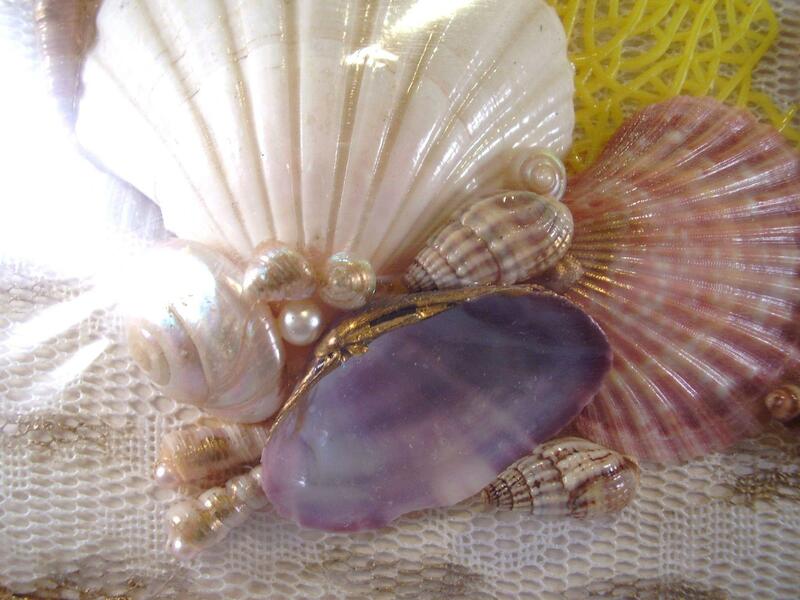 If you visit Sweeties Memorable Gemz, you will be sure to find something you would love to buy !! The handbag arrived just in time for my Birthday which is Monday 14th September, with a Birthday Card and a lovely floral handkerchief, a thoughtful & lovely welcome personal touch from Marianna. Thank you Marianna, for making my day. Categories: Crafts, Fashion, Handicrafts, Recreation | Tags: Atlas of Hollywood Florida, handbags, purses | Permalink.